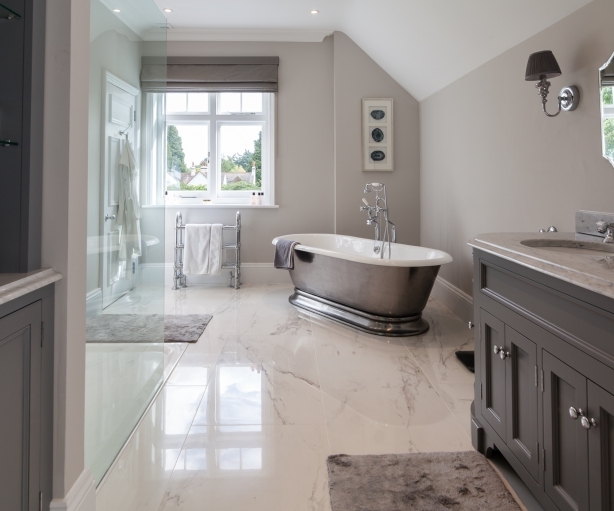 Bathroom renovation – we refurbished two of the four bathrooms within this house in Rickmansworth. With previous owners, there had been some poor workmanship /fittings and walls used that were not structurally sound causing movement within the property. 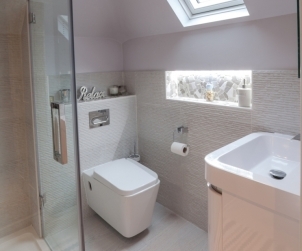 In this bathroom renovation we took down the wall and re-built it to be structurally sound and give sufficient space to install a toilet, basin, towel rail and shower. We created a larger space for a velux roof window – allowing more light and we embedded part of the glass shower into the wall. Thus avoiding the eaves and enabling our client to have the shower she wanted. To complete the look we installed mood lighting and mirrors with Bluetooth connectivity so the family’s teenage daughters could enjoy their favourite music. 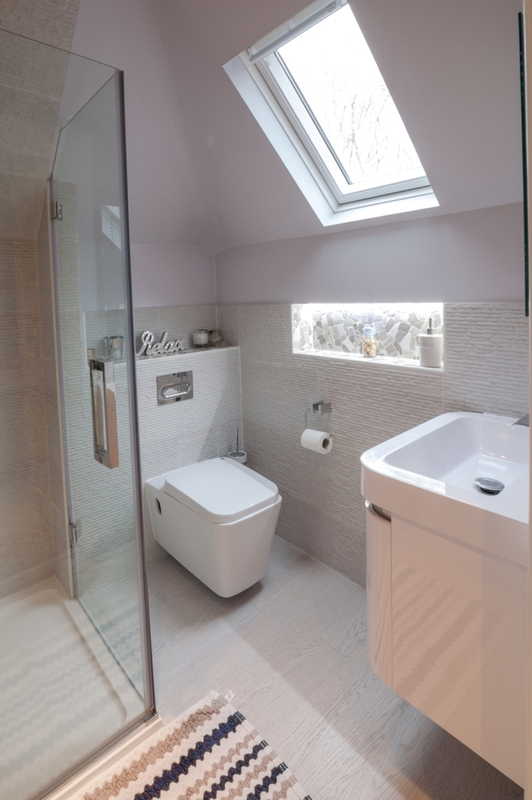 In the second bathroom renovation we increased the size of the velux roof window to allow more light and worked with the vanity units sourced by the client. 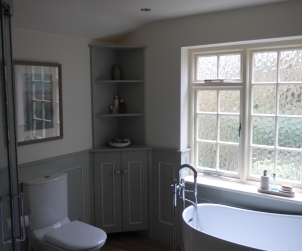 While both bathrooms were quite small we maximised the use of space to create light airy rooms.